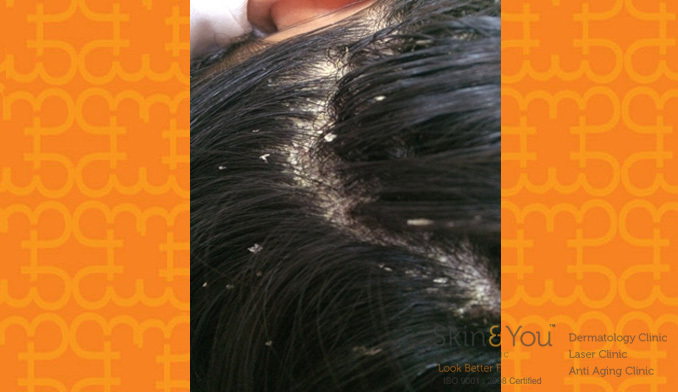 Dandruff is a common skin disorder characterized by itchy, red skin covered with white or yellow greasy scales over scalp. Multiple factors predispose to this condition such as fungus known as malessezia species, stress and hormonal imbalance. Dandruff treatment is directed towards eliminating the fungal growth by topical and oral antifungals (ketoconazole, zinc pyrithione, etc), along with decreasing the scaling with appropriate use of shampoos and lotions. Why Skin & You Clinic for Dandruff?